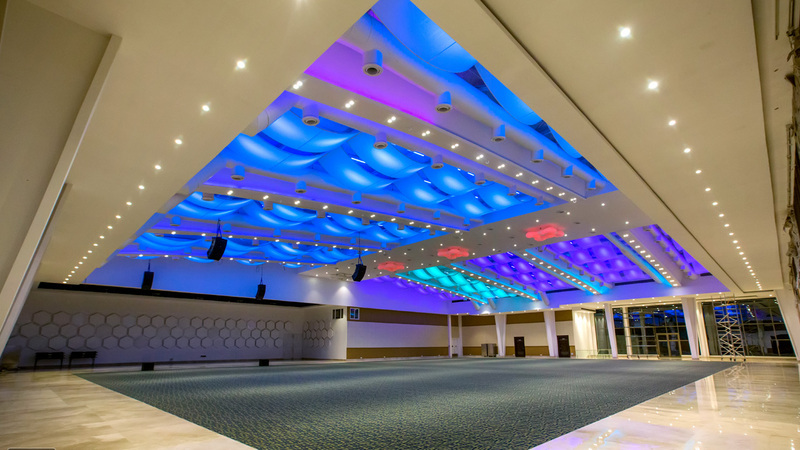 The biggest amongst the 3 venues comes with posh interiors and can accommodate up to 1800 guests seating at a time and 2500 floating. 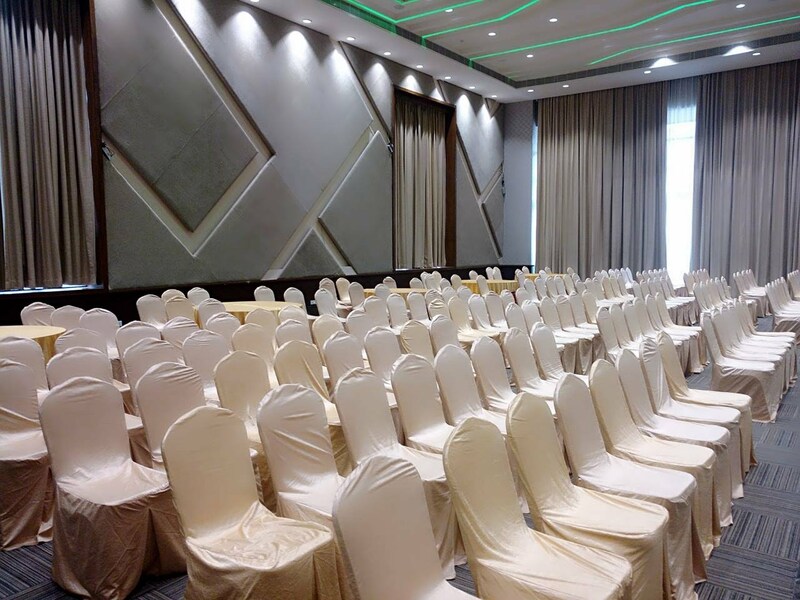 The lavish expansive high ceiling banquet hall with theme lighting provides best décor to beautify weddings or other marriage ceremonies. Perfect for weddings and corporate parties aimed at providing elite services. 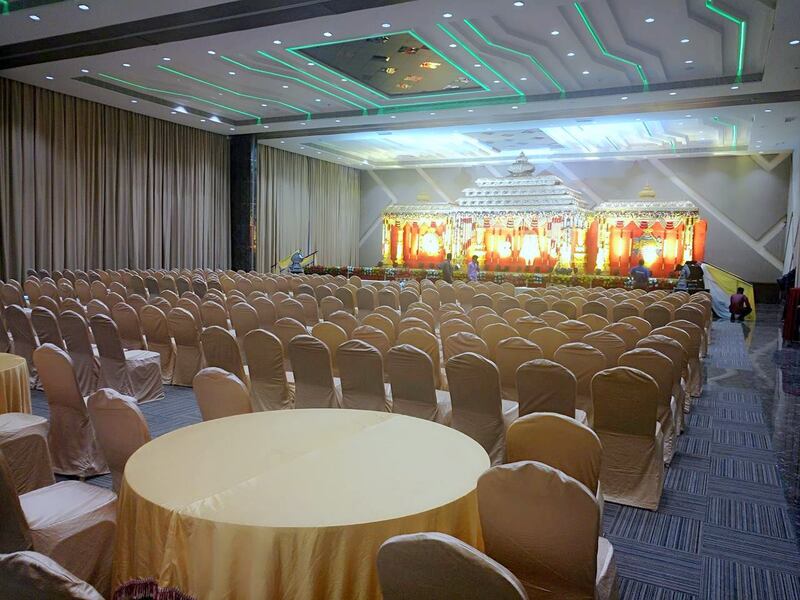 The 22,000 sq.ft hall is fully air-conditioned with top notch facilities along with a 15,000 sq.ft lawn with customized seating, buffet & fun activity arrangements to accommodate a wide variety of events. 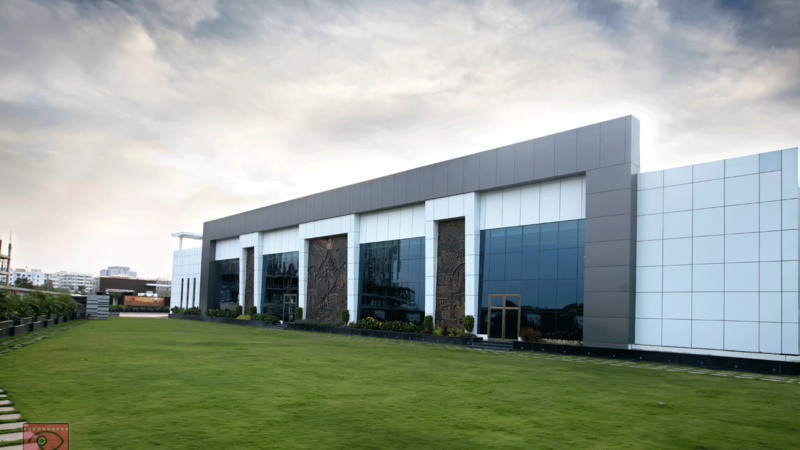 A tastefully decorated 10,000 sq.ft hall in elegant and charming décor, (could be divided into three separate sections) is an optimum combination, accommodating 50-800 guests for cocktails, engagements, award ceremonies, seminars, training sessions, product launches or celebrations of all kinds. 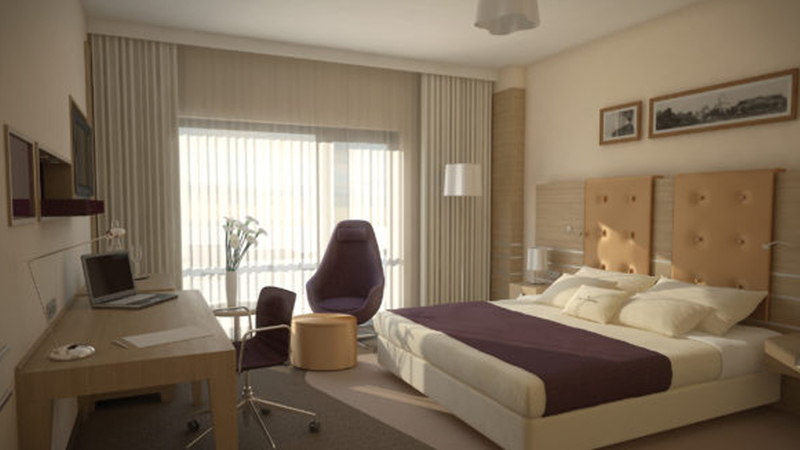 The pre-function area can be customized according to the need and mood of the event.